As we count the 49 days of Sefirat HaOmer from Pesach to Shavuot we thought we would present you with 49 reasons to support Areyvut. This time period is dedicated to strengthening our connection to Torah and to our fellow man, and these are things that Areyvut tries to facilitate every day of the year. If you are so inclined you can make a donation at https://www.areyvut.org/donate/. We appreciate and value every donor and dollar. 1. We deeply believe in the idea of Klal Yisrael and love and work with all Jewish people. 2. The programs we develop create Jewish wow moments that last a lifetime. 3. Our work benefits general society and all of humanity. 4. We partner with more than 150+ agencies annually, including many Israel-based and nonsectarian agencies. 5. Through our A Kindness a Day Calendar we facilitate kindness and a connection to tradition every day of the year. 6. The programs we implement are tailor-made for each audience. 7. Our work impacts program participants, their families, host and partner agencies. 8. We enable parents to discuss Jewish values with their children. 9. Our programs teach valuable leadership skills. 10. Mitzvah Clowning is truly the gift that keeps on giving and you will not ever find an investment that yields better results. 11. We give program participants an avenue to express their creativity. 12. Our Summer Internship program has resulted in more than 10 people pursuing full time careers in the nonprofit sector. 14. Programs like Mitzvah Clowning and Jewish Teen Philanthropy teach skills that participants can use throughout their lives. 15. We serve as a resource for your school, synagogue, JCC and all communal agencies. 16. We constantly assess, reflect and make changes to better serve and meet the needs of the community. 17. Our Family Tikkun Olam Tours provide a framework for families to volunteer together and create memories to last a lifetime. 18. We recently launched a Teen Board which helped us create the Kindness Challenge. 19. Through our social media channels including Facebook, Twitter, Pinterest, Instagram and LinkedIn we provide tools, resources and stories daily to help engage, motivate and inspire others to action. 20. We help build the capacity of the field. One such example is a video series to be released over the summer that will highlight how to create hands on projects to benefit community agencies. 21. Our programs enable families to do chesed together. 22. We have intergenerational programs that afford participants important opportunities to meet and learn from one another. 23. 5 Days/5 Ways, our summer service camp, introduces participants to community needs and more than 20 local agencies. 24. We offer many free programs and resources to help people infuse their lives with the core Jewish values of chesed, tzedakah and tikkun olam. 25. Our National Mitzvah Days provide an infrastructure and program model to actively do good. 26. Areyvut gets students involved while they are young and ignites a lifelong commitment to the core Jewish values of chesed, tzedakah and tikkun olam. 27. We provide resources to help families infuse their holiday celebrations with meaning and memories. 28. Our YouTube videos bring smiles to those who watch them and inspire people to action. 29. We are team players who give of ourselves and share freely with colleagues. 30. Our work benefits humanity and general society. 31. We help Bnai Mitzvah celebrants personalize Mitzvah Projects that enhance their celebrations. 32. Through our programs we reach more than 2,500 participants annually. 33. You can be responsible for empowering and inspiring others. 34. The Areyvut staff, interns, volunteers and Board practice what we preach and collectively volunteer more than 1,000 hour annually for a variety of causes. 35. We are mitzvah matchmakers! We match agencies with schools, synagogues and volunteers. 36. Areyvut turns one-time volunteer experiences into lifelong commitments. 37. Our programs engage people in real issues that impact them and their communities. 38. You will be happy knowing that your help engages and helps others. 39. Who doesn’t want to actively make the world a better place? 40. Areyvut can help you create art for good- visit our Pinterest page or watch the soon to be released how-to videos to find out more. 41. We help bring meaning to every day by starting you off with the “A Kindness A Day” email every morning. 42. Through our blog, website, and social media, we offer concrete ways to infuse your snow day, Superbowl Sunday or vacation with chesed. 43. We bring innovative classes to Hebrew schools on everything from music to mitzvot. 44. Connect your interests to chesed- almost 300 agencies are registered on our website’s searchable database. 45. We offer many free resources to help educators, families, agencies and individuals actively do good. 46. Our work –encouraging and facilitating kindness, communal involvement and leadership- is applicable to all people. 47. The world truly needs more kindness, today and every day. 48. Jewish content is central to our work. For many, these interactions are core to their Jewish identity and experience. 49. Program participants emerge from our programs with confidence and energy to use their time, treasures and talent to actively do good. Don’t just count the days; let the days count. 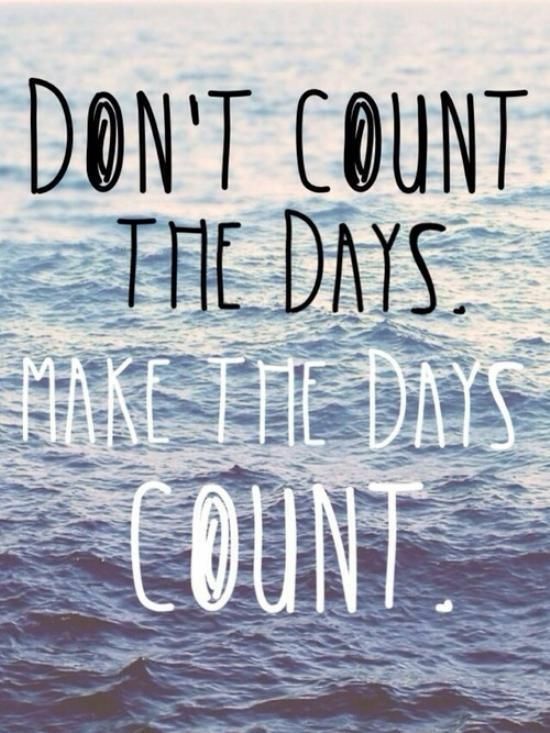 Or as others have said, Don’t count the days, make the days count. Over 50% of our budget comes from individual donors. Donations at all levels are appreciated. We encourage you to visit our website www.areyvut.org, participate in our programs www.areyvut.org/events/and partner with us in our important work. If you know a family, synagogue or school that can benefit from Areyvut’s work, please let us know or encourage them to reach out to us directly at 201-244-6702 or info@areyvut.org.